The seminar titled "Sustainable Development Assessment: Towards Measureable Goals" took place on 21-22 November 2012 and was followed by 14th Asia-Europe Environment Forum Steering Committee Meeting on 23 November 2012. The participants represented international environmental think tanks and environmental governance experts from organisations in Asia and Europe. The seminar initiated the Post-Rio discussions on Sustainable Development Goals (SDGs) and their indicators under the Asia-Europe Environment Forum programme. It provided the information about the status of the SDGs related initiatives and an overview of existing indicators that could be used to measure sustainable development. There is a strong support to elaborate on a possible SDGs on national and regional level created by bottom up process. These SDGs should also build on the Millennium Development Goals experience and be perceived as a complimentary process to the MDGs. After the seminar during the Steering Committee Meeting the ENVforum launched the 3-year programme that supports the dialogue on SDGs creation. The programme will conclude in 2015 alongside the Millennium Development Goals process. It will build on ASEF’s 2-year work towards Rio and research results on Architectures for Sustainable Development. The Asia-Europe Environment Forum is an initiative of the Asia-Europe Foundation, the Hanns Seidel Foundation, the Institute of Global Environmental Strategies, the Swedish International Development Agency (Sida) with the United Nations Environment Programme. The co-organising partner for the seminar was ASEM SMEs Eco-Innovation Center (ASEIC). Watch the video highlights from the Seminar! The Seminar on ‘Sustainable Development Assessment: Towards Measurable Goals’ will take place at ASEF in Singapore (21-22 November 2012). The seminar will gather over 50 representatives from international organisations, environmental think-tanks and business representatives from ASEM countries. 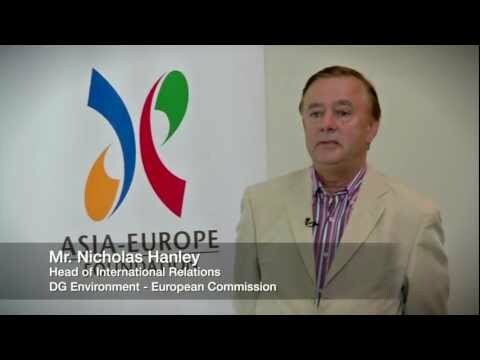 It will be followed by a meeting of the Asia-Europe ENVforum steering committee on the 23 November 2012. The principle objective of the seminar is to initiate a three-year-programme (2013-2015), which will empower countries’ leadership towards a bottom-up approach. This will help in creating Sustainable Development Goals (SDGs) on a national and regional level. The programme will directly target policy makers, non-governmental organisations, small and medium enterprises (SMEs), and other relevant organisations including the UN agencies.